Needles and Hooks and Books, Oh My! : Fingerless? There is just no way, with my schedule, that something I post as "WIP" on Wednesday is going to be a finish on Friday. It just doesn't happen. 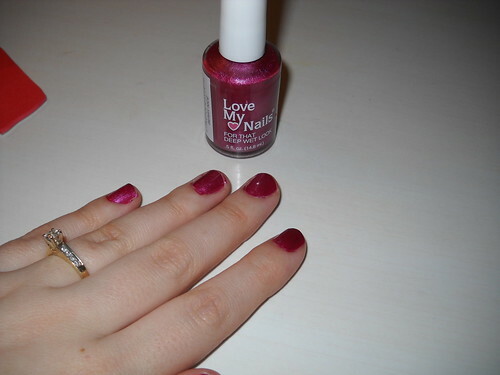 Gratuitous pic of nail color and engagement ring. I'm testing out nail colors for the wedding. If progress happens, it'll be over the weekend, most likely. And I do plan on having a pair of something--fingerless mitts or full mittens-- on Monday. I am working on mittens. The pattern includes an awesome thumb-space. 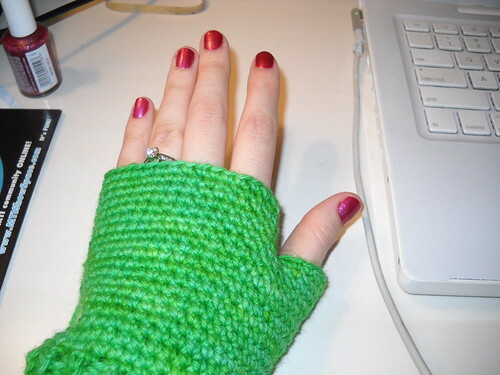 I really just want to stop and have a pair of fingerless mitts. Except I already have several pairs. And I legitimately need a pair of wool mittens. I like fingerless gloves and think you can never have to many of them, but then I live in Ireland where the weather is not so cold so we don't need mittens as such. 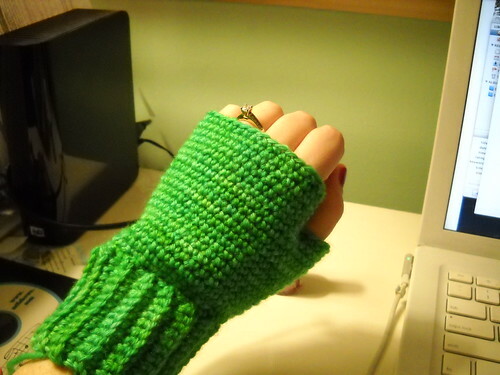 I'd say if you fancy fingerless gloves go for them lol.